MADE IN THE USA...LINEMAN "PUTTING FIRE IN THE WIRE"...High Gloss 1.5" hard hat decal or larger 4" decal for ELECTRICAL POWER LINEMEN! 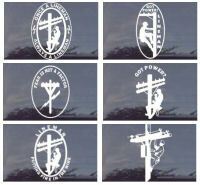 This weatherproof VINYL decal will withstand about 7 years of outdoor use - long lasting and durable. 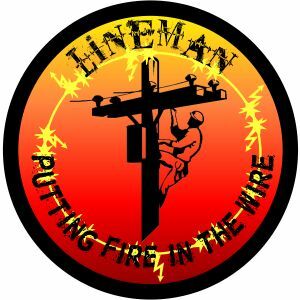 Down here in Florida, "putting fire in the wire" is a common term used by many of our electrical power linemen....keep the trend going wherever you are and order yours today. Pick up a few extra decals for the guys - because you KNOW they will all want one too! A beautifully vibrant and very eye-catching linemans decal in two sizes. See below.